The Republic of Serbia contains two autonomous provinces: Vojvodina and Kosovo-Metohija. Belgrade is the capital of Serbia and the country's administrative, economic and cultural centre. 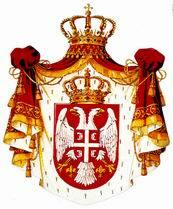 Belgrade is a special district in Serbia with autonomous authority of the mayor and city government. Subotica, Zrenjanin, Kikinda, Pancevo, Sombor, Novi Sad and Sremska Mitrovica. The main rivers in Vojvodina are the Danube (Donau), the Tisa and the Sava. Most of the country side of Vojvodinay is quite flat, but at Srem you can find the 'Fruska Gora' mountain. South of Banat there are some hills too. The country side is focused on agricultural production. In 2002, 2,031,992 people were living in Vojvodina, this is 27.1 percent of the total population on the Serbian territory. Besides from Serbs, there are Hungarians, slovaks, Croats, Montenegrins, Rumanians, and other ethnic minorities living in Vojvodina.